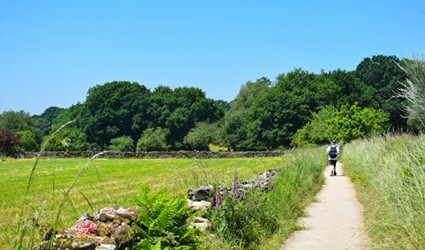 Walking or cycling the Camino is a wonderful experience and personal challenge, which is why it does require a reasonable level of fitness and stamina to walk long distances each day. To make the Camino even more accessible to all who wish to walk The Way, we’ve devised innovative new itineraries that split the Camino up into even shorter daily sections – meaning you can walk at an even more leisurely pace. At Follow the Camino, we want everybody to be able to achieve their Camino and experience the unique satisfaction of having accomplished something extraordinary and meaningful! We have a full range of manageable walking and cycling itineraries. With walking itineraries of less than 15KM per day and cycling less than 20KM you are sure to be able to enjoy the best of what the Camino has to offer without exhausting yourself. We call them our Camino Short Days. Camino Short Days also allows you to start your days walk at a time that suits you, so no need to get up at the crack of dawn to start walking. The days are designed so that you will be walking roughly for half a day so the other half is free to explore the towns along the way. Our most popular route for this Short Walking Days is from Palas de Rei to Santiago de Compostela a total of 65km over 7 days. We ensure you stay in carefully chosen and regularly assessed, authentic accommodation (pretty pensiones, genuine casa rurales, and family-owned hotels), allowing you to enjoy the social and cultural scene at each location and making sure you are enjoying the freshest local food and drinks! If you do not see the one you want then contact us and we will tailor-make it for your needs!